It was a day of first-time occurrences for the Reign FC on Sunday night. In addition to opening up their new home of Cheney Stadium to over 5,000 fans, the Reign FC also saw some rookie sensation power from Bethany Balcer. With an injury to Megan Rapinoe, which led her to being out of the match day lineup, Balcer lined up in the starting XI for the first time in her NWSL career. After acquiring some minutes against the Houston Dash last week, Vlatko Andonovski was ready to see the rookie at the start. Picture perfect placement from Bethany Balcer for the @ReignFC equalizer. The move paid off for the Reign FC, as Balcer scored her first professional goal in the 21st minute. Second-year Reign FC member Allie Long tallied the assist. However, the goal wasn’t a game-winner. Instead, it was a point-saving goal. The Orlando Pride struck early in the match, as Alanna Kennedy sent a bicycle kick in Michele Betos’ net. Kennedy is the third Australian to convert a bicycle kick. Only Australians have converted the skilled-goal trick, as Lisa De Vanna did so in 2013 and Sam Kerr did in 2017. Despite the attention-grabbing goals that went in the back of the net, the goalkeepers had a showing in Tacoma. 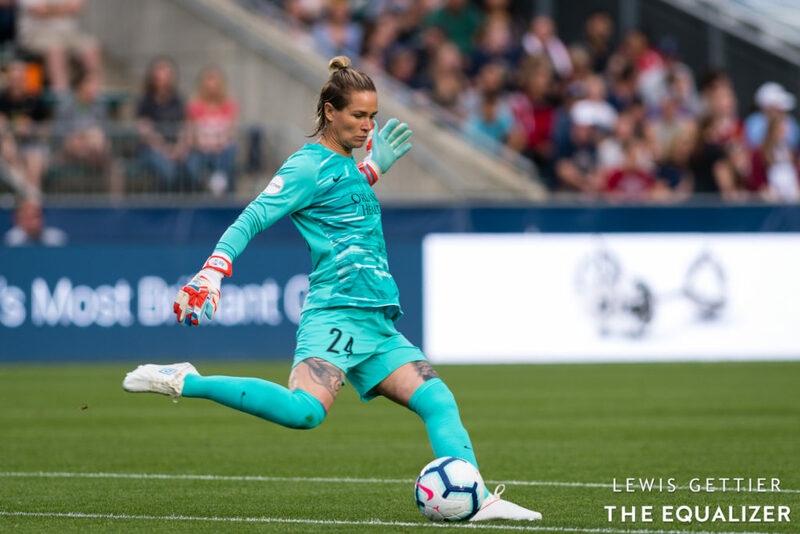 Ashlyn Harris finished the match with three saves, including an outstretched slap to keep the score level. Meanwhile, Michelle Betos recorded one save, but had various different stops and was tested. Betos’ only resulted in plenty of backtracking to reach goal and keep the match at 1-1. The six-year history of the National Women’s Soccer League has played host to plenty of wild, high-scoring games, but Saturday’s match-up between the Chicago Red Stars and the Portland Thorns has to be one of the most exciting in recent memory — and the timing couldn’t be better. If the lopsided history between these two teams (the Thorns lead the all-time series 8-1-9, with the lone Chicago win coming way back in 2013) loomed over the Red Stars going into the game, they didn’t show it. And if they’re disappointed about the draw, as both sides have their own reasons to be, there are plenty of positives, too, not least of which is the fact that that game — that eight-goal, down-to-the-final-whistle roller coaster — was the first Red Stars game to be televised in Chicago, after the club announced a deal with NBC Sports Chicago earlier this week. 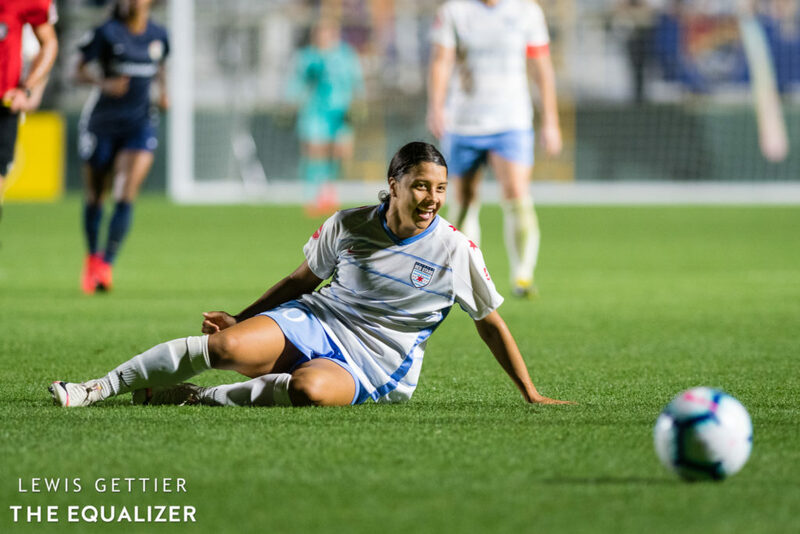 The Red Stars have the coolest kit in the league (if not all of American soccer), a stone-cold superstar in Sam Kerr, and they just played that game on local TV, less than two months before the World Cup provides its quadrennial boost to women’s soccer viewership. If this year is to be any kind of moment for the sport, Chicago is capitalizing on it in the best possible way.